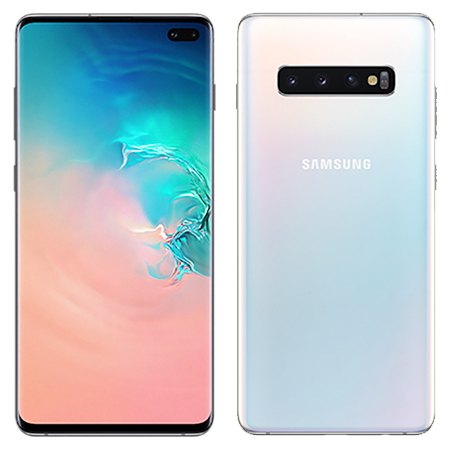 The Samsung Galaxy S10+ is completely redesigned with 10 years of mobile experience, to provide you with an uninterrupted experience. There’s no home button, no notch for the receiver and a simple dot opening for the front camera. The Ultrasonic Fingerprint Scanner directly into the screen, allowing you to simply touch the glass to unlock your device. Offering prismatic colours created by nano-laminated film, these innovative designs catch the light in a way that's new and futuristic. The Galaxy S10+ offers you advanced AP and RAM for next incredible processing power. You’ll be enjoying efficient performance while using less energy with a more resourceful processor and up to 12GB RAM. Samsung’s intelligent 4100mAh battery keeps you in charge when it matters most and the device itself can charge Qi-certified devices and some Samsung wearable devices. With dual SIM support, you can use two numbers and data plans on the Galaxy S10 and the Galaxy S10+’s intelligent Wi-Fi is faster with Wi-Fi 6 and helps prevent Wi-Fi fraud. 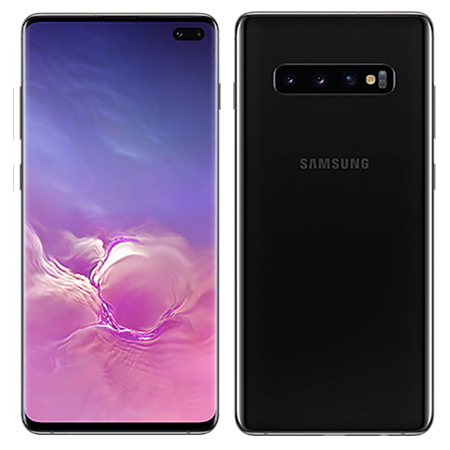 Shoot like a pro, with the Samsung Galaxy S10+ triple camera system, featuring 12 Megapixel telephoto camera, 12 Megapixel wide-angle camera and 16 megapixel Ultra Wide Camera (delivering a 123 degree field of vision). Selfie game is up thanks to the 10 Megapixel Selfie camera couple with the 8 Megapixel RGB Depth camera. The Dual Aperture and multi frame composition ensures your shot is clear however dark the scene. Enjoy 4K UHD recording, and dual cameras for artistic selfies. Introducing the Samsung Galaxy S10+ with the new Infinity-O Display. An incredible the next generation Dynamic AMOLED Cinematic screen that is HDR10+ certified to provide you with Dynamic Tone Mapping for amazingly real colour and contrast in each scene. The Eye Comfort Display made from fluid composite in Dynamic AMOLED reduces blue light.